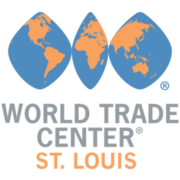 Home > Who We Are > Our Teams > World Trade Center St. Louis > Midwest Investment Center > What is GMIC? The Gateway to the Midwest Investment Center (GMIC) was organized in 2010 as a Missouri not-for-profit corporation and operates as a U.S. Citizen & Immigration Service (USCIS) EB-5 designated regional center within St. Louis County, St. Louis City and St. Charles County. The regional center raises foreign investment capital through the USCIS EB-5 Immigrant Investor Pilot Program to finance the development of projects in select economic sectors. Increasing investment, employment and prosperity within the St. Louis region by serving as an approved U.S. Citizen and Immigration Service EB-5 Regional Center.